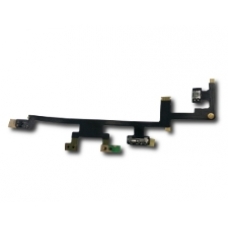 Apple iPad 3 volume and power switch cable assembly. This is the part you require if you have damaged the internal flex cable or if your button pop switches for the power or the volume buttons do not respond when pressed. * Apple Part Number: 821-1256.